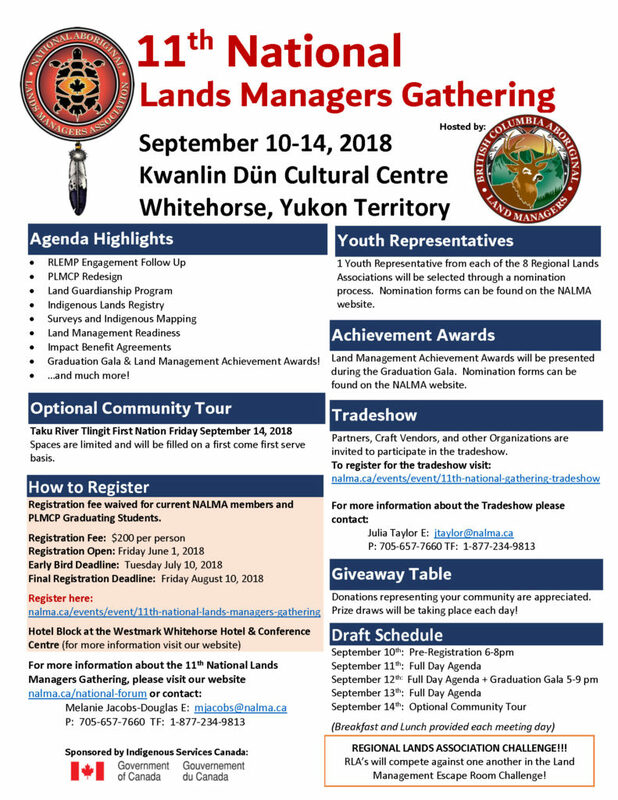 The National Aboriginal Lands Managers Association (NALMA) is pleased to offer a National Gathering for Lands Managers. The goal of the National Gathering is to provide leaders, technicians and other stakeholders with new and relevant information and training to relating to all areas of Land Management. At our Forum, we encourage those in attendance to interact with one another and share information, which helps to promote best practices in the unique field of First Nation Land Management. Please note that not all presenters provided PowerPoint presentations. Should you have any questions or require additional information about a presentation or presenter, please contact us. Each of our Forums, have been hosted by all 8 of our Regional Lands Associations.